Go digital faster with murals on the Hub. To create a new mural on the Hub you just have to select 'Create Mural'. You will also find 4 mural templates on the Hub once you login. 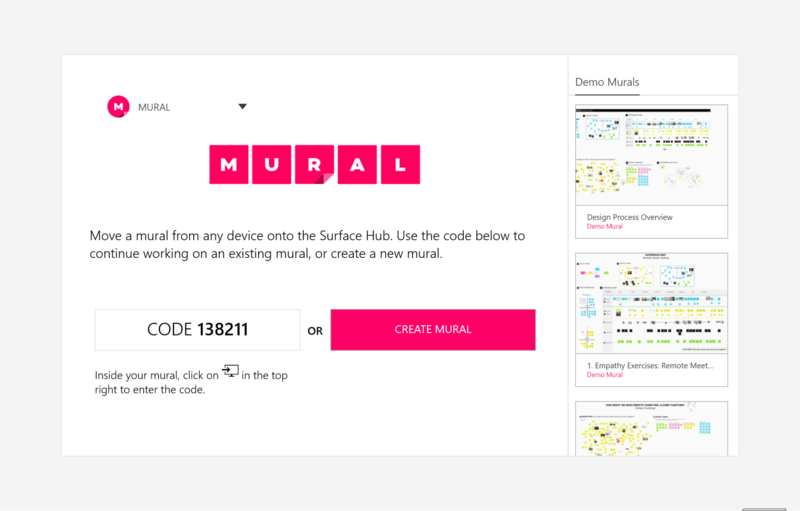 If you click on the templates, you can create new murals by adding a duplicate in your personal room from the Surface Hub. **Note: The Surface Hub is a public device. Before ending your session, make sure to share all murals created on the Hub with yourself or a team member for uninterrupted access. When a Hub session ends, all unshared murals created during the session will be lost.